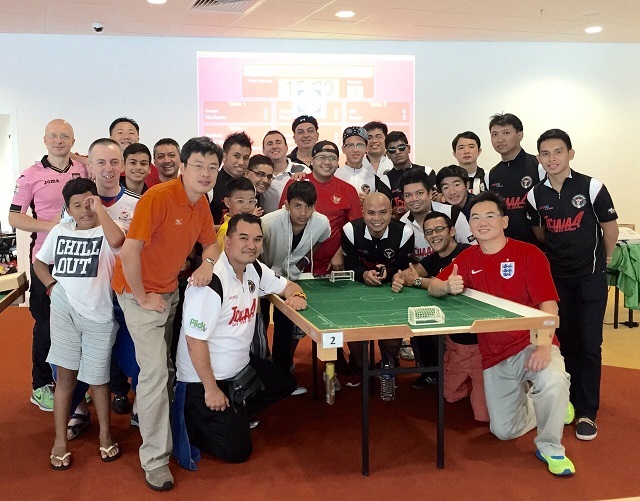 On the weekend of 14-15 March 2015, the 2015 edition of the TFAS Cup – a International Open of Singapore – took place at the Singapore Sports Hub Library. 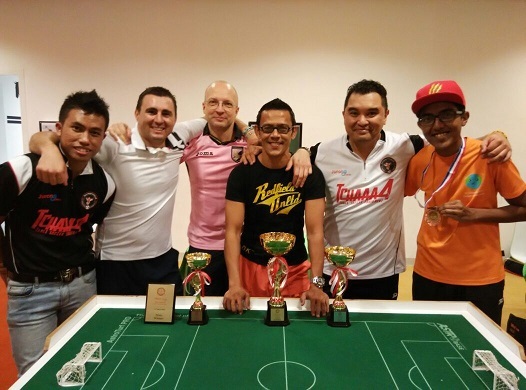 It was a truly ‘international affair’ with players from Australia (Rafaelle Lombardi), Belgium (Stephane Lambert), Hong Kong (Antonio Carabillo), Indonesia (Arudyo Putro, Majee Nolizam) and Malaysia (Altaf Niyas, Armin and Irman Farizul) joining the local Singapore players for the event. 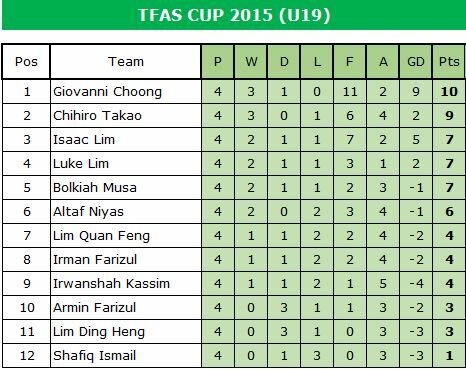 A total of 12 U19 players contested for the 2015 TFAS Cup U19 Champion title in a SWISS format of 4 rounds. 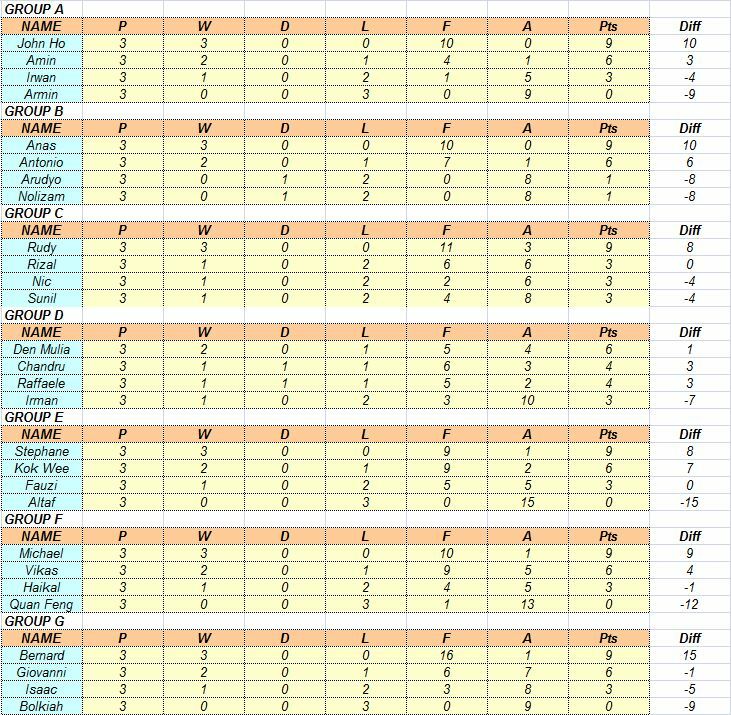 The top 2 players then play-off for the right to be called Champion and Runners-Up respectively; while the next 2 players in the standings play-off for Third and Fourth placing. 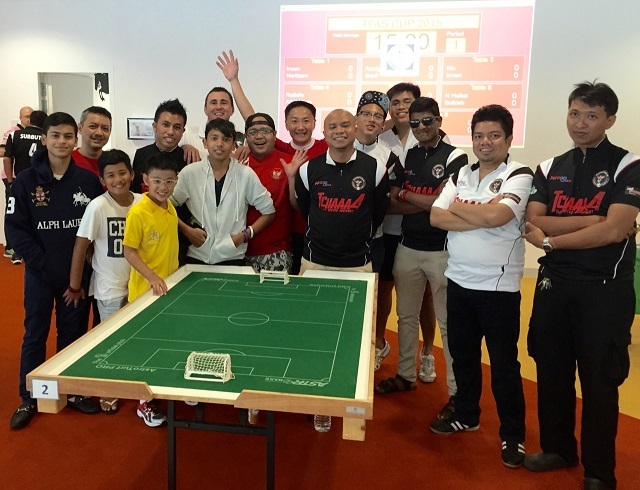 The Third and Fourth play-off match was between the Lim brothers of Isaac and Luke. Luke proved the calmer of the pair as he repeated his 1-0 win over Isaac during the preliminaries with another 1-0 win to claim Third place. 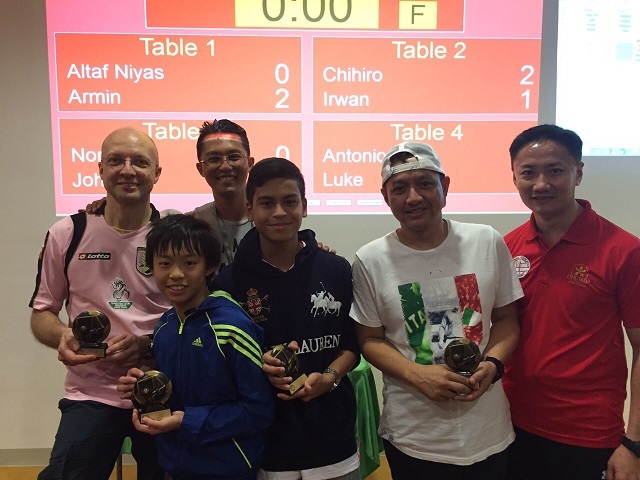 The Final was between Giovanni and Chihiro – who pipped Isaac to the Final play-off with a late winning goal in Round 4 of the preliminaries. Giovanni comfortably repeated his earlier 4-0 victory over Chihiro to emerge Champion with another 3-0 win!! 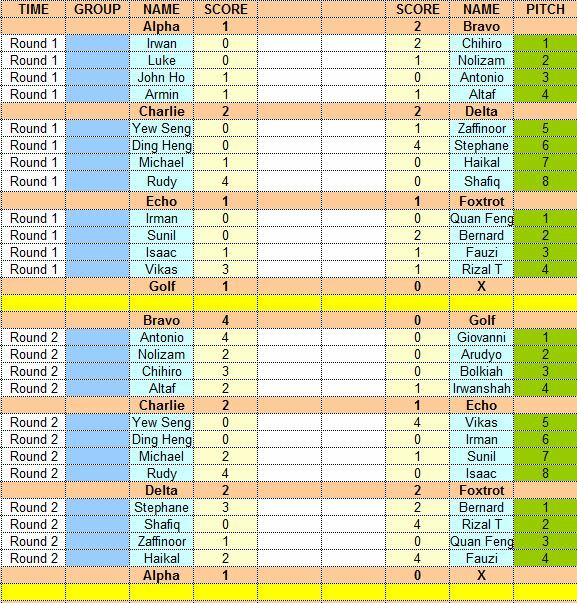 In the Team Final, Bulldog Bravo defeated A-Team Alpha 2-1 to claim the Team Event Champion!! 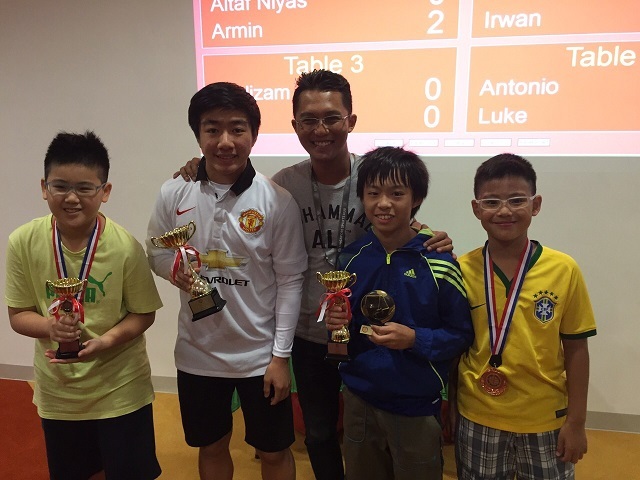 At the end of the day, Den Mulia emerged Champions, Rudy came in Runners-Up; while Antonio claimed Third and Anas finished Fourth … Congrats to the winners!! 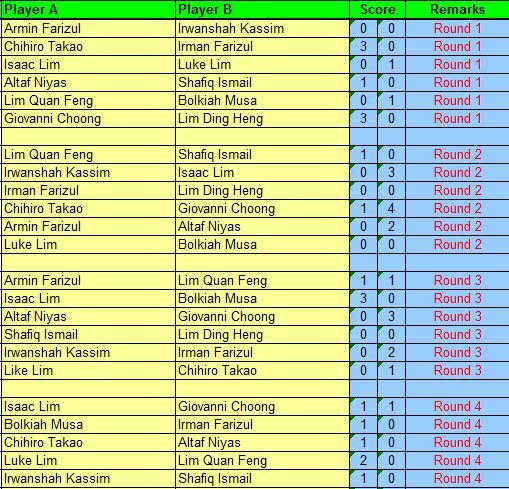 On the side of the main event, players who did not qualify from the Group stage proceeded to the knock-out Plate Event which was a registered WASPA tournament. Players of the Plate Event together with our TFAS President were seen below. 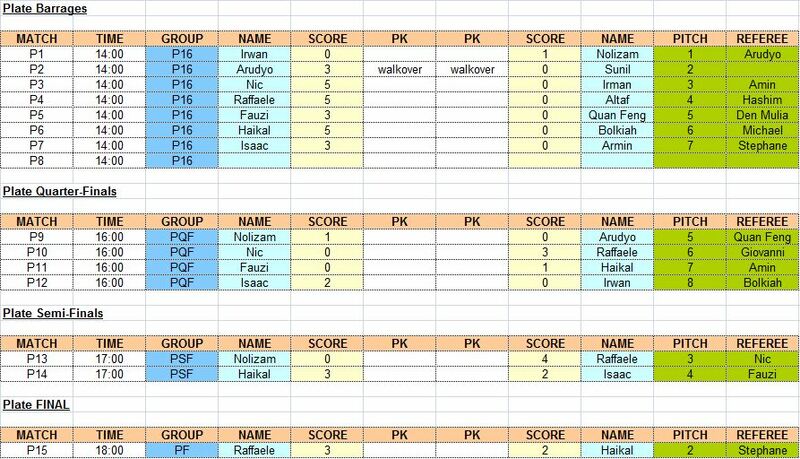 By the end of the day, the Plate Final was a tight affair between the visiting Rafaelle (of Sydney Paramatta) and Singapore’s very own up-and-coming young adult Noor Haikal. Both played out an exciting final with each scoring 1 after another to finish the game 2-2 at full-time; thus bringing the game into extra-time. 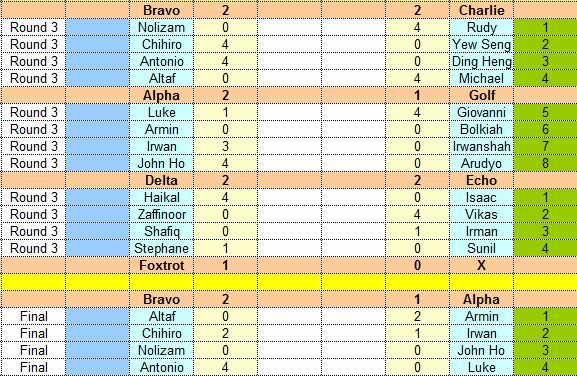 During the overtime period, the experience of the more matured Rafaelle made all the difference as he scored another goal to edge out Noor Haikal by the odd goal!! 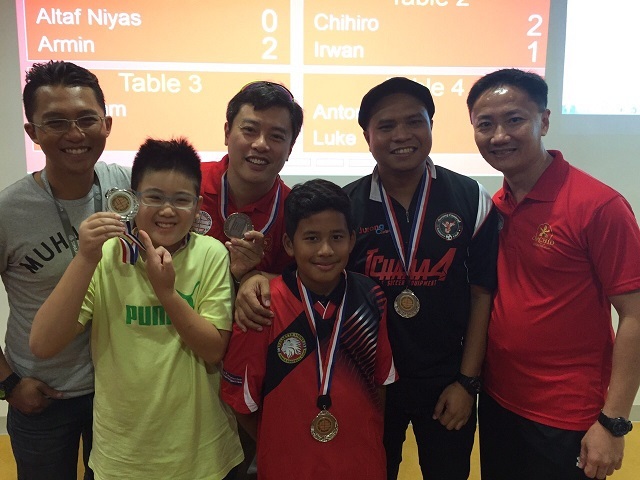 Rafaelle’s victory in the Plate Event made his long journey from Sydney Australia to our shores of Singapore worthwhile indeed! !